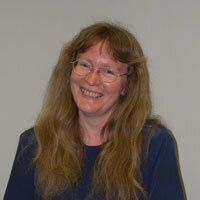 Cynthia Pederson is an experienced writer, researcher, and teacher. She takes great joy in passing along knowledge through the many workshops and presentations she leads. Cynthia holds several advanced degrees in literature, creative writing, and library science. Her teaching certificate for grades K-8 has given her the opportunity to gain experience in several teaching positions. Cynthia’s publications include two volumes of poetry, an adult literacy curriculum guide, literary reviews, newspaper articles, plus poems, articles, and essays in many journals, magazines, and anthologies. Her poetry has won a number of awards including the Carruth Award, The Great Poets Award, and the Florence Levitt Kahn Award. Cynthia has entertained many with her storytelling performances, including the original story “The Wide-Eyed Tree Frog Who Loved Books”.